According to a February 2011 Business Insider article, in 1985 Harley Davidson was “at risk of disappearing from the highway.” Its quality was terrible, the company was almost bankrupt, and product was not selling. 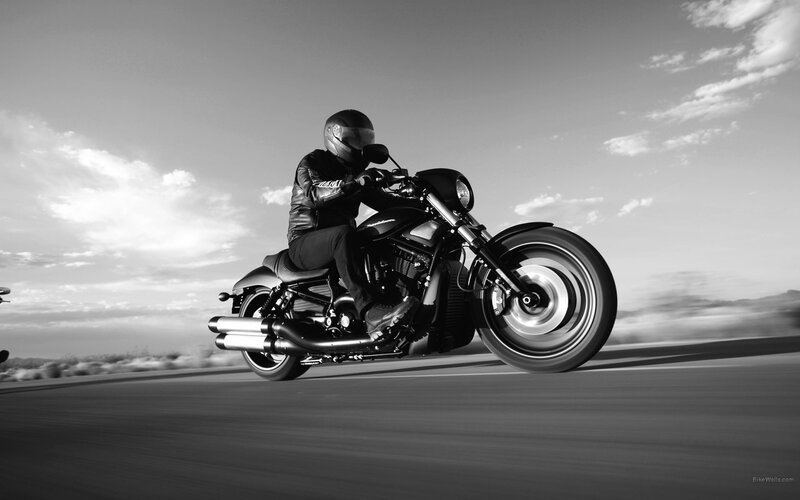 Fast forward thirty years, and Harley-Davidson is the envy of every motorcycle enthusiast, even those who have never ridden a motorbike, wear Harley brand clothing. What happened? Only one of the most successful rebrands in the history of free-capitalism, that’s what happened! Harley knew they had lost some customers, in fact they knew they had lost many customers, so they improved quality, changed their mission, brought in Richard F. Teerlink as CEO, and the company grew. It is likely that many old-time customers who had lost trust in the company never went back, but Harley-Davidson’s vision was on the future, not necessarily on the attrition they had faced. The Church of Jesus Christ of Latter-day Saints, “the Mormons,” is going through similar circumstances in the 21st century as Harley-Davidson did in the 1980’s. In 2012, in what can only be described as a rare candid moment, LDS Historian Marlin K. Jensen admitted that, “more members are falling away today than any time in the past 175 years.” The article also stated that it is likely the number of active LDS members world-wide is as low as 5 million members. Furthermore, a Reuters article in 2012 stated that census data from foreign countries showed that the retention rate for LDS converts is as low as 25%. Like the motorcycle company before them, the LDS Church is at risk of disappearing from the “religious highway,” and in similar fashion, they have embarked on an aggressive rebranding of the religion. As with any company facing a re-brand, the LDS church seems willing to accept a certain level of attrition from its older members, in order to rebrand for the future generation. Each of these essays, as well as the talks given in conference are a part of the great LDS rebrand. And by the time it is done, the church that your parents and anyone over 30-years-old grew up in will be a thing of the re-written past. Allow me to lay out the argument for the rebranding and see for yourself. 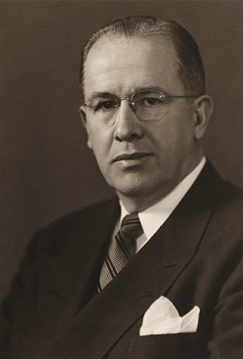 1958 marked the pinnacle of what some would call the “McConkie era.” This was when Bruce R. McConkie, a member of the LDS church leadership, published his epic book, Mormon Doctrine. This book was vastly popular with the church members as it laid out in black-and-white the doctrine of the LDS church. Mormon Doctrine derided the idea of being saved by grace through the atonement of Jesus Christ, made it abundantly clear that black people were less valiant in the pre-existence and were, therefore, cursed with a dark-skin, it also clearly made known the prophetic decree which kept blacks from holding the priesthood and going to the temple. The book was changed and revised several times, and in 2010 Deseret Book halted sale and publication of Bruce R. McConkie’s Mormon Doctrine, citing “low sales,” but the fact was that this book, had to disappear into the annuls of church history in order to pave the way for the future LDS model. In December of 2013 the LDS Church released their essay on the history of the church in regards to black people entitled “Race and the Priesthood”. Prior to this date, the doctrine of the church was that black people were less valiant in the “pre-existence” and therefore received the “curse of Cain,” a skin of blackness. There is a reason why one man is born black and with other disadvantages, while another is born white with great advantages. The reason is that we once had an estate before we come here, and were obedient, more or less, to the laws that were given us there. Those who were faithful in all things there received greater blessings here, and those who were not faithful received less. I offered the final prayer and told the Lord if it wasn’t right, if He didn’t want this change to come in the Church that I would be true to it the rest of my life, and I’d fight the world against it if that’s what He wanted. We had this special prayer circle, then I knew the time had come. In the aforementioned Race and Priesthood essay the finger is pointed directly at President Brigham Young alluding to the fact that he was caught up in the anti-black culture of the day. They are quick to point out that the ban did not start with Joseph Smith, and that it was not prophecy but merely cultural. If it is true that Brigham Young started the ban due to racist, cultural feelings, you must ask yourself how it is that a church which is supposedly lead by a living Prophet, Seer and Revelator, was deceived by the racist opinions of Brigham Young for more than 130 years and through 11 of 15 Presidencies. Every LDS President from Brigham Young until Spencer W. Kimball upheld the ban, which means that every black person who lived during this time (11 of the 15 church presidents) were denied temple marriage, temple endowments, priesthood, and by extension exaltation into the Celestial Kingdom, all because they were apparently fooled by the racist Brigham Young. What does this say about their ability to actually prophecy for themselves? What does it say about their ability to lead the church? But it gets worse. The essay says “Today, the Church disavows the theories advanced in the past that black skin is a sign of divine disfavor or curse.” This is great until you realize that by saying this, the Church is now disavowing portions of the Book of Mormon and The Book of Abraham! In speaking of the Lamanites, 2 Nephi 5:21 says “And he had caused the cursing to come upon them, yea, even a sore cursing, because of their iniquity. For behold, they had hardened their hearts against him, that they had become like unto a flint; wherefore, as they were white, and exceedingly fair and delightsome, that they might not be enticing unto my people the Lord God did cause a skin of blackness to come upon them. The essay goes on to say, “ (We disavow the idea) that it (black skin) reflects actions in a premortal life; that mixed-race marriages are a sin; or that blacks or people of any other race or ethnicity are inferior in any way to anyone else.” Obviously this is in direct contradiction to every Prophet listed above. Who is right? This issue has caused several active LDS members to begin to question their church, many of them have contacted us as they go through their crisis of faith. Many are leaving the church, but as with any rebrand, these are considered collateral damage in order to save the younger generation of members and hopefully save the church. Will it work? Brian Carlson, “Number of faithful Mormons rapidly declining”, ABC 4 News Utah, 2012, Accessed via YouTube, July, 2014. 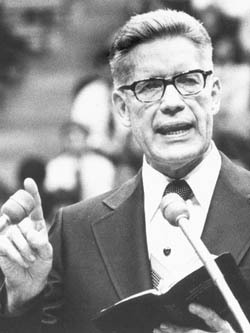 Bruce R. McConkie, Mormon Doctrine, (Salt Lake City, UT: The Church of Jesus Christ of Latter-day-saints, 1958), 477. Joseph Fielding Smith, Doctrines of Salvation, (Salt Lake City, UT: Book Craft Publishers, 1992), 61. John Taylor, Journal of Discourses Vol 22, (Salt Lake City, UT: The Church of Jesus Christ of Latter-day-saints), 304. John J. Stewart, The Glory of Mormonism, (Washington, DC: Mercury Publishing Company,1963), 154.